With today's technology advancing at a rapid pace, we have smart gadgets all over our home, cars, pockets and even our wrist. It is no surprise that many Americans have invested in smart TVs to make their viewing even better and easier to command. What is a surprise is the rumors that these smart TVs could be spying on you, and even more surprising is that it is true! These devices are not just tracking what you are watching on Netflix; it is reported that cameras and microphones in specific brands are secretly turning on and watching and listening to you. For example, the Vizio Smart LED TV and Samsung Smart TV models have been collecting data in this way. The Federal Trade Commission has been cracking down on how these companies collect their data, but there are ways to turn these spying features off, depending on what brand you have. You can find out that information here. 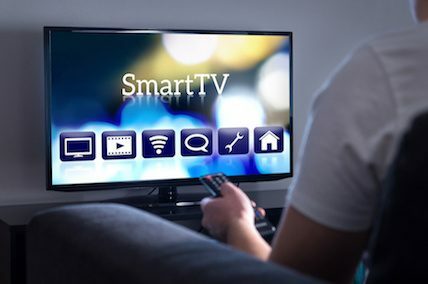 Some expert recommend sticking to Apple TV or Roku devices which do not have these spying capabilities, or you can disconnect your smart TV from the internet and have a regular TV, but that defeats the whole point. The truth is that this technology is only going to get more sophisticated and integrated into your life. Everything else will start spying on you like your car, refrigerator, thermostat, toothbrush or any other object we use every day. They most likely will be collecting harmless data on a person's habits with the device to help make it work better for them. This is where the future is headed, and unless we want to live without these marvels of technology, it is going to have to be part of our lives. We just need to stay aware and make sure the technology spying does not go too far.